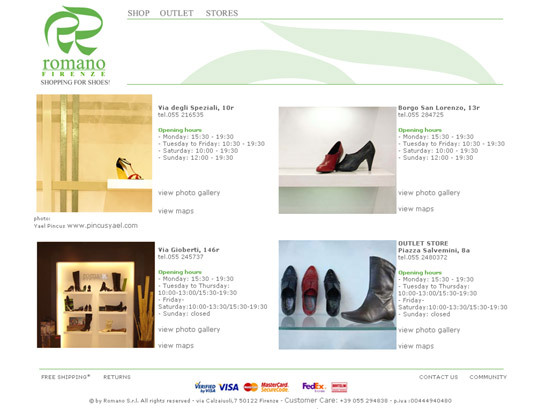 New Online Store of multi store in Romano Shoes. Shopping for Shoes! 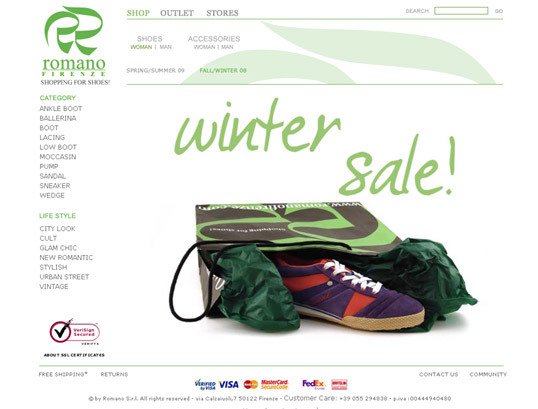 Romano has been in business for over 40 years in Florence, with its four stores, located in the heart of the city and one in the area shopping, meet any taste in terms of shoes … but not only. Inside the store, recently renovated with modern technology, you can also find accessories such as bags and helmets. 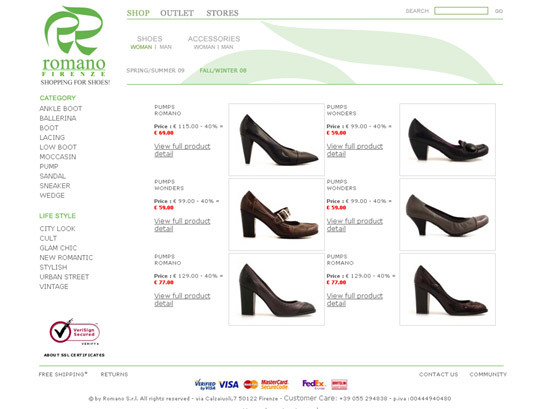 The online store was created with the support of AS who oversaw the planning and management of the store.